U.S. autonomous deployment will start with several thousand vehicles in 2020 and then grow to nearly 4.5 million vehicles by 2035, IHS said. Editor's note: The IHS report calls for 21 million in fully and semi-autonomous vehicles sold globally in 2035 and a total of 76 million vehicles sold between now and 2035, according to a revised IHS statement. Previous versions of this story incorrectly referred to the total and regional figures as cumulative. DETROIT -- Despite facing an uphill battle of legislation and regulation, 21 million fully and semi-autonomous vehicles will be sold globally in 2035, according to a forecast from IHS Automotive released today. All told, between now and 2035, IHS estimates that nearly 76 million vehicles with some level of autonomy will be sold globally. The U.S. is expected to lead the way with initial deployment and early adoption of autonomous vehicles as it works through challenges posed by regulation, potential liability and consumer acceptance. U.S. autonomous deployment will start with several thousand vehicles in 2020 and then grow to nearly 4.5 million vehicles in 2035, IHS said. IHS also expects that Japan will ramp up industry coordination and investment before the 2020 Summer Olympics in Tokyo. The forecast said that nearly 1.2 million vehicles will have some form of autonomous driving capability in Japan and South Korea, collectively, sold in 2035. The forecast incorporated factors including current market development of foundational technologies, r&d announcements and collaboration projects underway, which include discussions and initiatives between manufacturers and ride-sharing companies. Analysts from Wells Fargo said that autonomous content per vehicle will cost $5,000. Wells Fargo said Delphi Automotive has the most all-in dollar content potential with autonomous driving sensors and software at potentially $2,000 per unit. Jeremy Carlson, principal analyst at IHS Automotive, said there are certainly challenges and obstacles with regulations and guidelines and that IHS has a positive, but cautious, tone. “It’s a long timeline, nonetheless it’s something we expect to work out,” he said. Carlson also pointed to how some states -- California, Nevada, Florida and Michigan -- have been early adopters of autonomous testing but that it’s still early in the development process of regulations. This summer, NHTSA is hoping to release new guidance to states, policymakers and companies on self-driving vehicles. As for other markets, IHS forecasts that more than 5.7 million vehicles sold in China in 2035 will be equipped with some level of autonomy. Growth will be driven by expected volume of vehicles sold in China as well as consumer demand. The forecast calls for more than 3 million autonomous vehicles sold in major markets in Western Europe in 2035 and 1.2 million vehicles in Eastern Europe. More than 1 million vehicles with some level of autonomy will be sold in the Middle East and Africa in 2035. 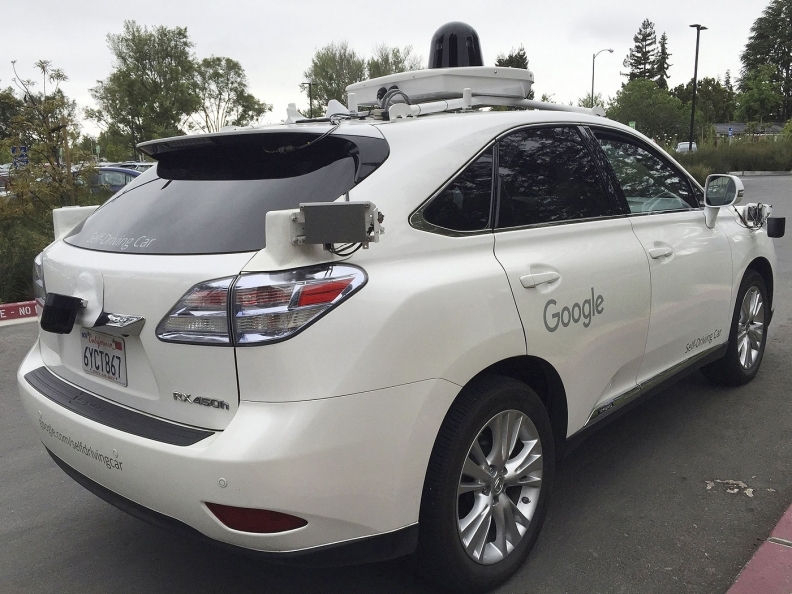 For example, Carlson said the Google autonomous vehicle is best categorized as an entirely new vehicle segment.